One of the potentially most significant contributions of Geeksphone to the industry was also one of its most notable failures. Due to a number of seismic movements that shook the mobile industry in 2012, the Geeksphone Two never saw the light (although a similar hardware design was later sold and re-purposed for its launch in India). 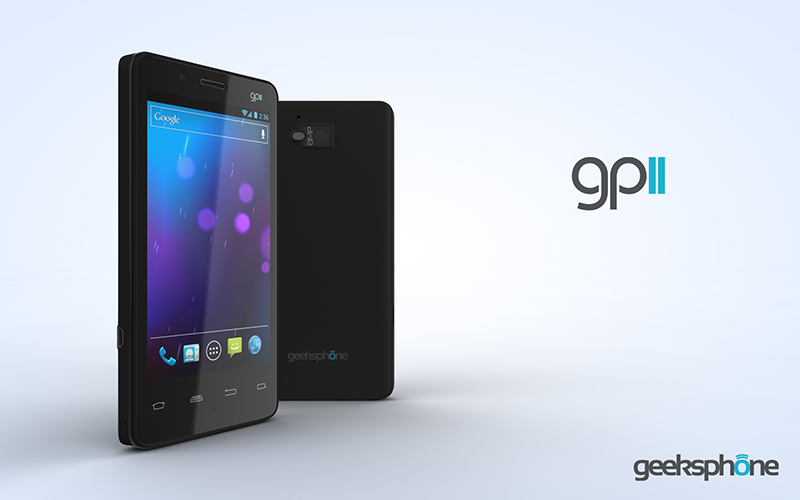 The Geeksphone Two implemented the first Intel Atom mobile chipset, and some of the highest specifications at the date. Its uniqueness was its ability to run a full Ubuntu Linux distribution in dual-boot configuration, transforming itself from a typical smartphone into a fully-featured micro-laptop which could be connected to an HDMI display and Bluetooth keyboard/mouse. It was also one of the first devices to feature USB OTG in parallel to a mobile display port, allowing for its use in office environments. Originally planned for an announcement during MWC 2012, its launch was finally canceled later that year. 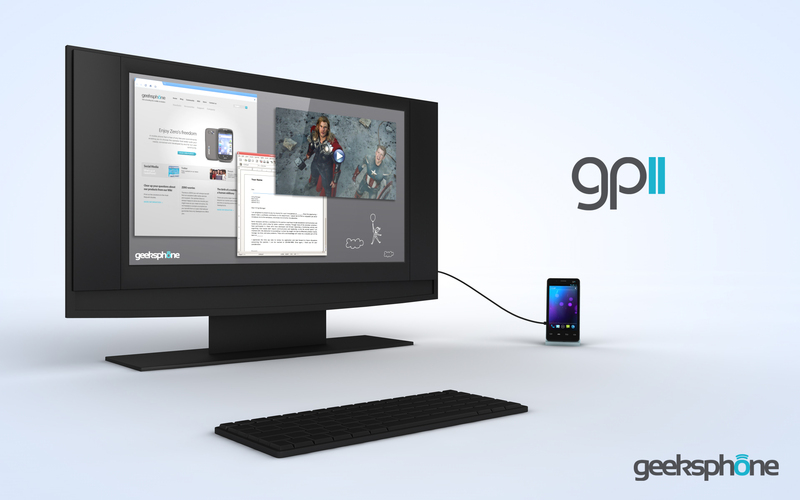 It was originally based on an FFRD produced by Foxconn, with full software integration by Geeksphone.